Chris has written and produced four 'Manuals of Yoga Postures in Sequences for Home Practice'. 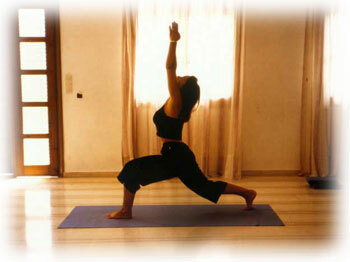 These manuals show a series of Yoga sequences which are ideal for practice at home. As well as clear photographic illustrations of the postures there are simple explanatory notes with each sequence to guide the student through all the postures. Click on the button above to take a free tour round the first of these manuals. If you like the look of the manuals you can buy them online or by contacting Chrissie at the e-mail below. The two relaxations on this studio-quality CD have been the two favourite visualizations with Chrissie's students for many years. Both relaxations direct the mind to different parts of the body, and include visualizations using healing light, or walking in nature, and a period of relaxing music. Click on the button above to listen to a clip from both these relaxations. If you like the sound of these CDs you can buy them online or by contacting Chrissie at the e-mail below.